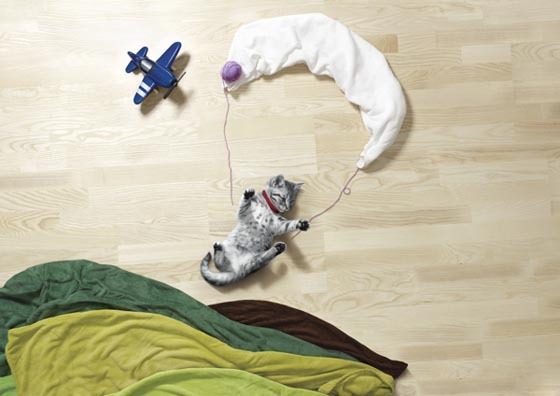 Entitled “Life is Adventure“, this cute series is was developed as a collaboration between creative director Marek Farkas, art director Jiri Horut, and photographer Miro Minarovich. 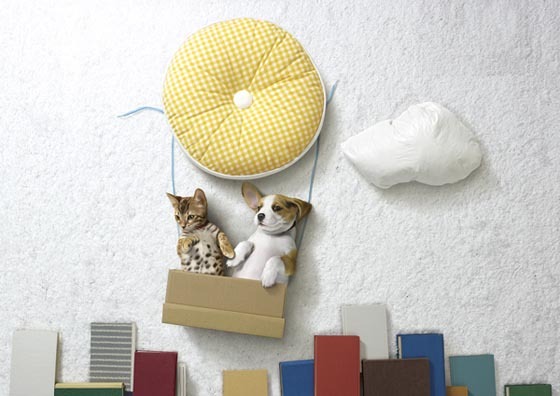 Little kittens and puppies were playfully placed within everyday household items like books, pillows, and a broom, creating some elaborate imaginative scenes. 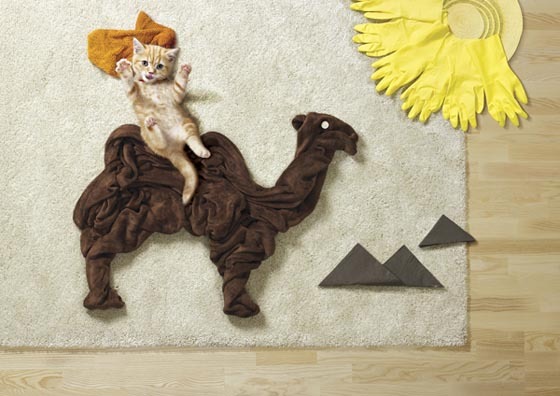 You might can’t help but smile, like us, by looking at these adorable scenes: kittens ride camels, puppies sail off to sea. 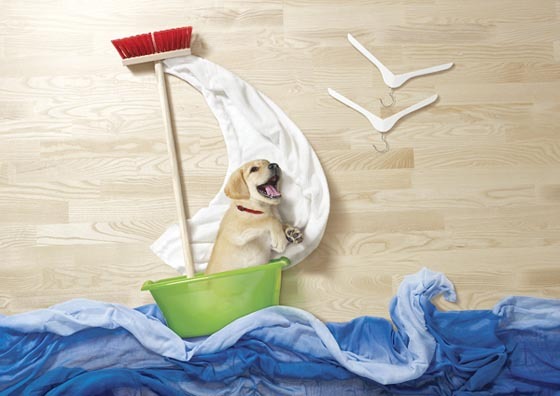 Hope you like this sweet concept of your pets having safe adventure taking place on house floor.